Channel Surfing's Ana Castillejos is super dramatic, and very revealing, when she joins Amy and Lacey on this episode. We aren't trying to be dramatic but YOU HAVE TO LISTEN! LIKE RIGHT NOW! Ana may come to her senses and want to take it all back. Also, happy Mother's Day! Want a free meal? Here's an idea! Chat with us and give us your feedback on our socials! Loose Lips and Child-Bearing Hips on IG, Facebook. Loose Lips Hips on Twitter. And don't forget to check out Amy's favorite platform of all time, KiddNation Toaster Chronicles. And Ana is @anaasofiac. 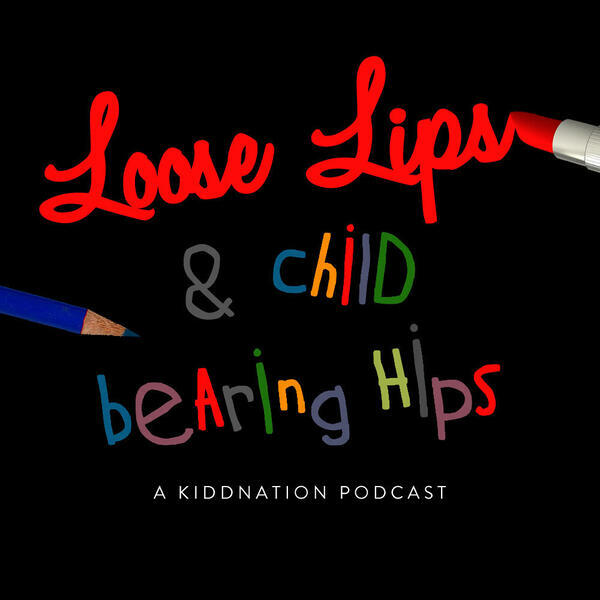 Be sure to subscribe to us and check out other KiddNation podcasts, like Ana's Channel Surfing, on iTunes and Google Play. You can leave a nice rating and comment while you are there too. Steve's Dramatic Confession - unneeded! A Stranger Things Dramatic Confession!